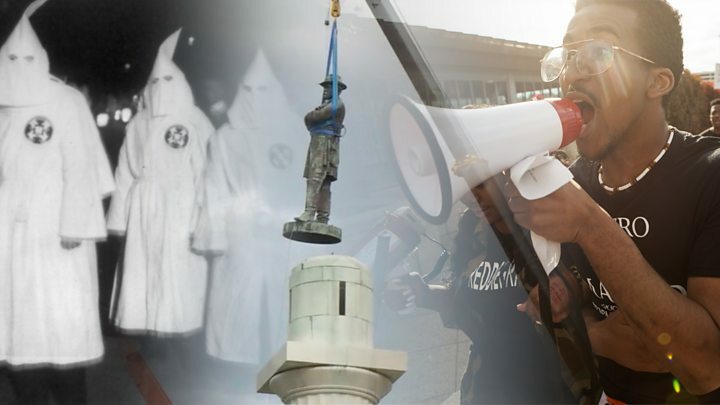 The KKK is one of the oldest white supremacy groups in the US, formed just after the civil war. The group was behind many of the lynchings, rapes and violent attacks on African Americans in the 1900s. He was once a celebrated journalist, commended for his ethics by other news outlets - including the New York Times and American Journalism Review. A short editorial piece published without a byline on 14 February was entitled: "Klan needs to ride again." 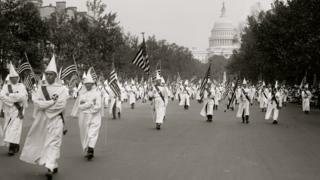 According to the Southern Poverty Law Center, there are currently around 5,000 to 8,000 KKK members across the US; during the Klan's heyday in the 1900s, there were as many as four million members. Alabama Senator Doug Jones, the Democrat who won a bitter race against Republican Roy Moore, expressed his shock over the "absolutely disgusting" editorial and said Sutton must resign immediately. Democratic Representative Terri Sewell, who is black, said Sutton's language was not a joke, but a threat. Kyle Whitmire, a political writer in Alabama, said he once worked at Sutton's paper and felt "sickened" by last week's editorial.